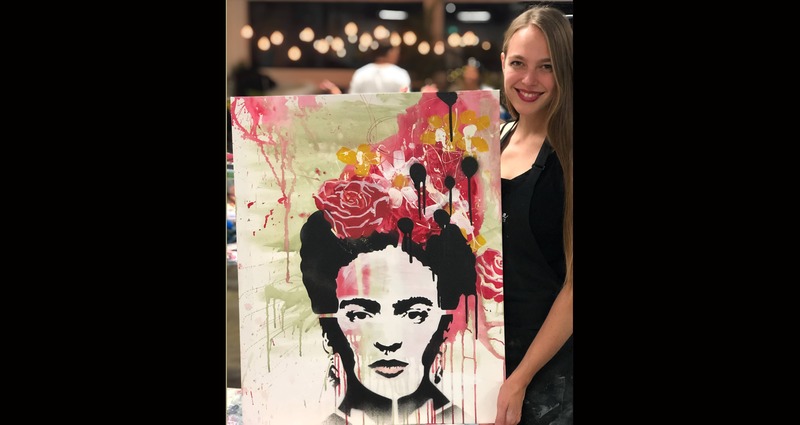 Join us for to PAINT this lovely Frida with drips and roses and SIP through an enjoyable afternoon. Frida is an icon made famous by her paintings and life of “pain and passion” and for her intense, vibrant colors. We capture a little of the Frida spirit using running paint with stencils of flowers. Please arrive by 1.30pm, handover your BYO downstairs at the bar of the Montague Hotel then enjoy your complimentary glass of sparkling at the bar. The class starts at 2.00pm.